Relationships are the most pleasant and painful part of life. How are your relationships? Are evil people betraying and harming you? Are foolish people disappointing and failing you? In this sermon, learn how your relationship with Jesus can help you navigate evil and folly with wisdom. Users who like John #29 - Are You Wise Like Jesus, Evil Like Judas, or Foolish Like Peter? Users who reposted John #29 - Are You Wise Like Jesus, Evil Like Judas, or Foolish Like Peter? 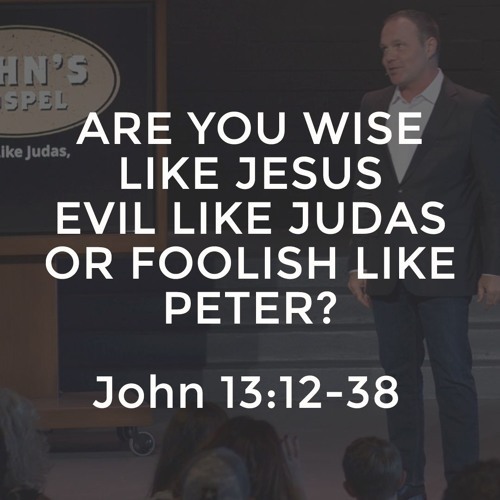 Playlists containing John #29 - Are You Wise Like Jesus, Evil Like Judas, or Foolish Like Peter? More tracks like John #29 - Are You Wise Like Jesus, Evil Like Judas, or Foolish Like Peter?